It’s the total package when it comes to caring for your swimmer’s skin and hair. 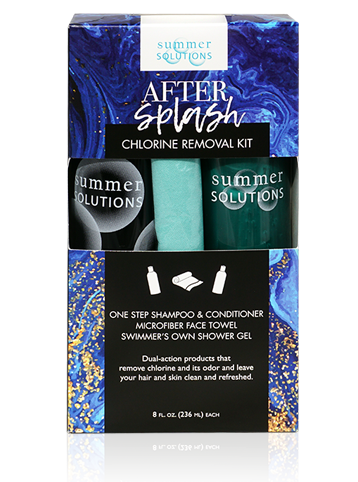 Eliminate the smell of pool chemicals, protect your body from their damaging effects, and prevent and treat green hair tint with Swimmer’s Own Shower Gel and One Step Shampoo and Conditioner. Plus, pamper your skin and help prevent dryness and irritation with a luxuriously soft, extra-absorbent microfiber towel. Drying off never felt so good. Makes a great gift for your favorite swimmers!